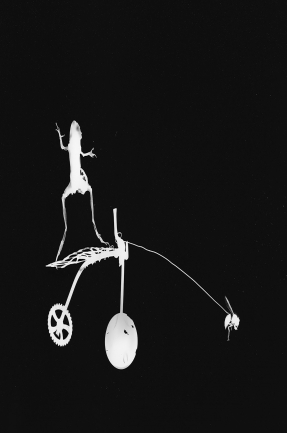 Welcome to ‘Hickman’s Insecta Extraordinaire’ and ‘Passing By’ Exhibition! Two displays that present unique and methodical photography techniques to capture thrilling images and sculptures. ‘Insecta Extraordinaire’ is inspired by the Victorian flea circus. Displayed will be an array of mind bending prints created using a traditional 1840’s photogram processing. To add to these exciting prints Laura has hand made some flea circus styled, miniature vehicles with tiny Insect drivers. Her whimsical use of light brings insects and animals back to life -captivating for curious minds. Laura’s ‘Passing By’ collection of prints are created using cyanotype processes. Another collection of distinctive images. The cyanotype process is cameraless and uses light to create a silhouette style image in vivid cyan-blue. The distinctive process brings movement to the lifeless subjects in a playful but fascinating way. For Valour: The First World War through the experiences of Knox and Beesley on show until 10th November.